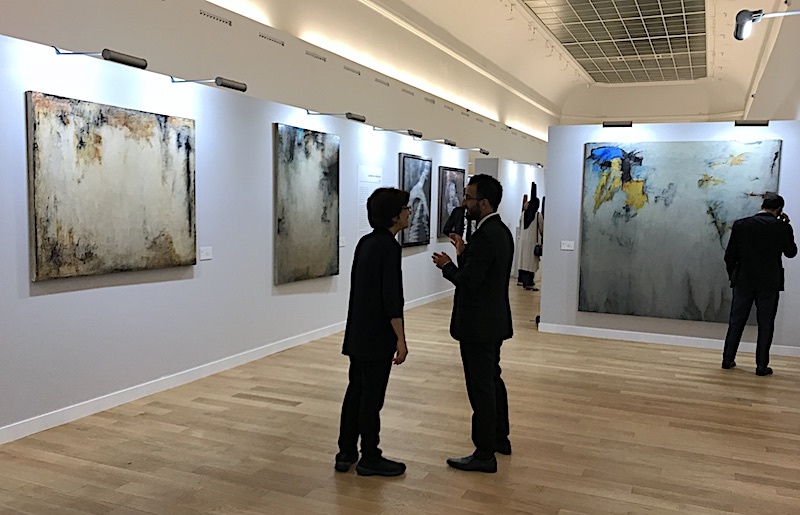 Bahrain Art Week, Paris provided an excellent opportunity to see and experience, first hand the talents of seventeen artists from varying age groups hailing from this small yet vibrant Gulf State. 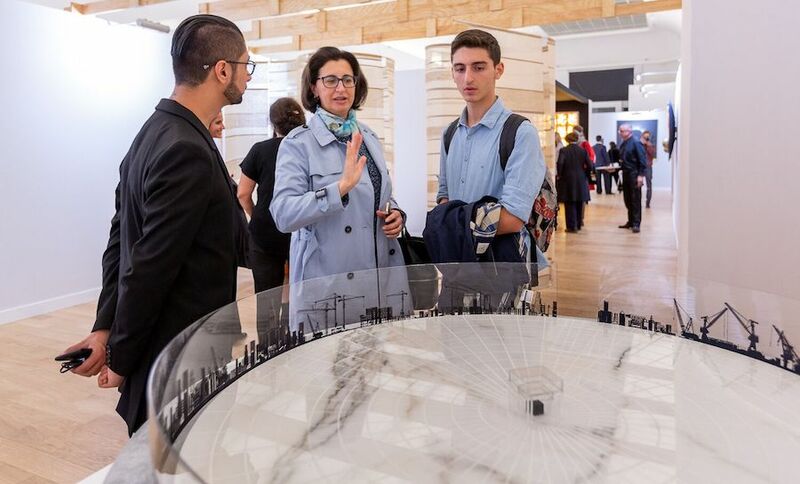 Held this year in the Grand Palais, a building which combines the grandeur of neo-classical and Art Nouveau architecture, the exhibition was guaranteed to create a buzz. 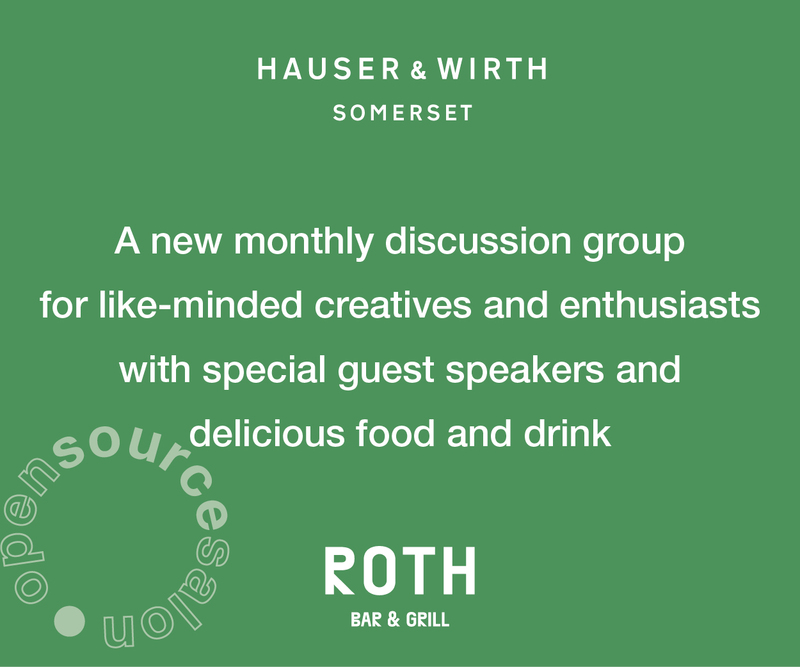 When you think of an artistic community in most geographic areas, you immediately think provincial, however among the group of artists exhibiting there were many surprises and an epiphany that some of this work could easily compete on the international stage without reservation. The representation of ‘Women Artists’ and the freedom of expression evident in the show despells many myths associated with the region. The entire project was the dream of the enterprising Kaneka Subberwal who approached Corinne Timsit to produce the Paris exhibition. Timsit as chief organiser as well as the mediator with collectors and institutions helped the success of the overall event, which ran from the 13th to the 15th of September. 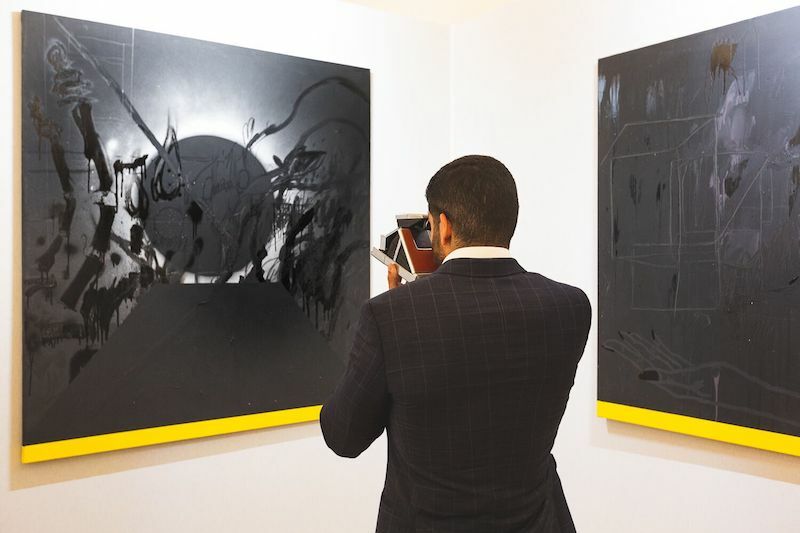 The artists included recent Royal College of Art graduate Salman Alnajem who showed large-scale abstractions inspired by his inner self and national culture. The result ranged from flat to textured shapes on a monochromatic background which payed homage to one of his heroes Cy Twombly. Othman Khunji creates installations using bronze and stone as well as new technologies such as 3D printing to create a visual depiction which often challenges the common perception of Islam. Faika Al Hasan presented large-scale canvases, and some collage works utilising multiple images of Lowry like stick figures. She explores the human figure and the vastness of the universe. This poses questions of what lays at the core of our understanding of the universe. Lulwa Bint Abdulaziz Al Khalifa is a talented portrait painter. Her influences range from Tamara de Lempicka to Zhang Xiaogang. These are well-executed portraits exhibiting human emotion and mystery. Her submerged portraits are an interesting comment on our expectations, prompting speculation of whether these subjects are drowning or just entering a dream-like state of consciousness. Balqees Fakhro is one of the best abstract painters of her generation. She is widely known and collected in the Gulf region. Her paintings are inspired by the memory of specific places and are mainly imaginary landscapes. Balqees cites JMM Turner, Mozart and the sublime desert terrain as the source of her visual lexicon. 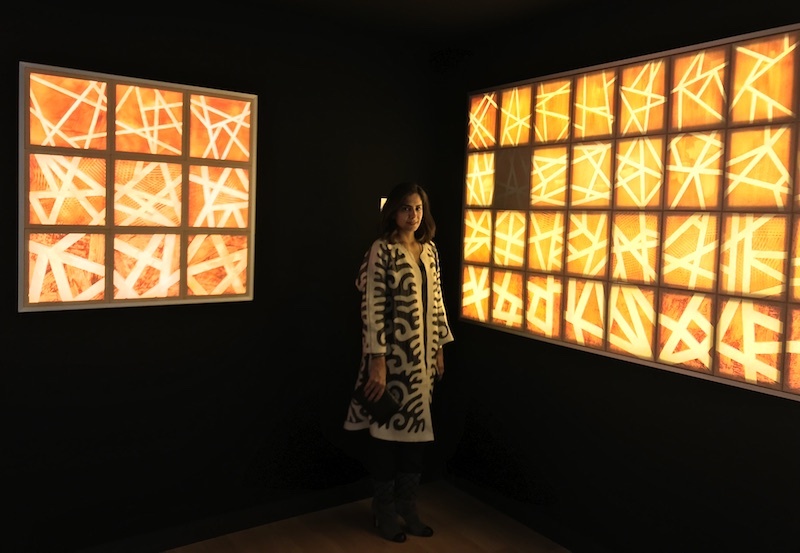 Marwa Rashid Al Khalifa is a multidisciplinary artist who works in sculpture, printmaking and with light boxes to create an immersive effect. She aims to empower women to celebrate their family spirit and highlight the strength of tenderness making many references to her national culture. Jamal A. Rahim is an artist working evenly in both painting and sculpture. his influences stem from Dubuffet to Basquiat to Soutine. 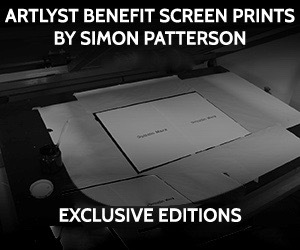 He uses his own love of colour to express work ranging from figurative to abstraction. Curators; Corinne Timsit, co-founder of Corinne Timsit Art Advisory (CT2A) and Kaneka Subberwal, founder of Art Bahrain Across Borders (ArtBAB) in partnership with Art Premium magazine, presented the first edition of Bahrain Art Week in Paris under the theme “The Legacy and Contemporary Memory.” Art Bahrain across Borders (ArtBAB) is a journey to discovery of the most promising established and emerging Bahraini artists and is to be held under the patronage of Her Royal Highness Princess Sabeekha bint Ebrahim Al Khalifa, Wife of the King of Bahrain and President of the Supreme Council for Women. 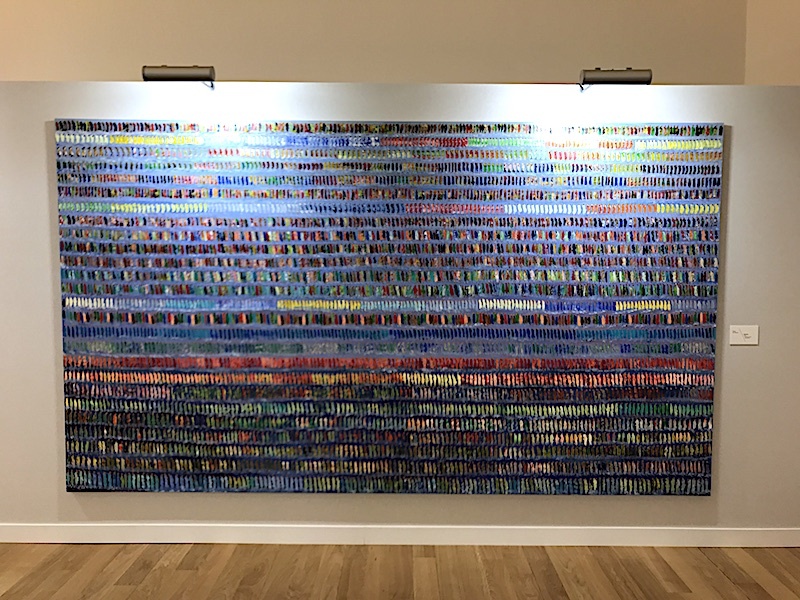 Beginning in 2005 with shows in Dubai, London, Oman and Doha, Kaneka Subberwal has worked to make Bahrain a focal point for art in the West Asian region and establish a forward-thinking platform to promote the growth of art in the country. 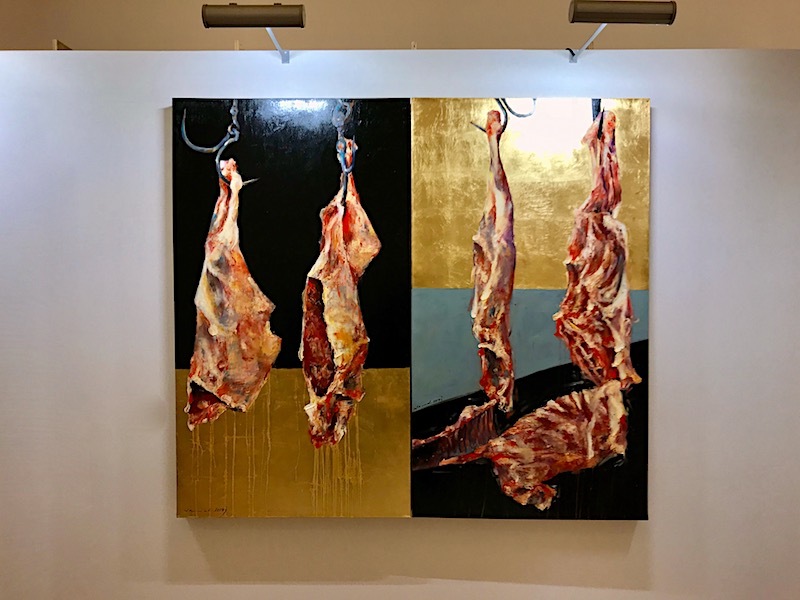 Through BAAB – Bahrain Art Across Borders – an initiative to take the art of the artists of Bahrain across borders globally and ArtBAB Kaneka has worked towards that aim. 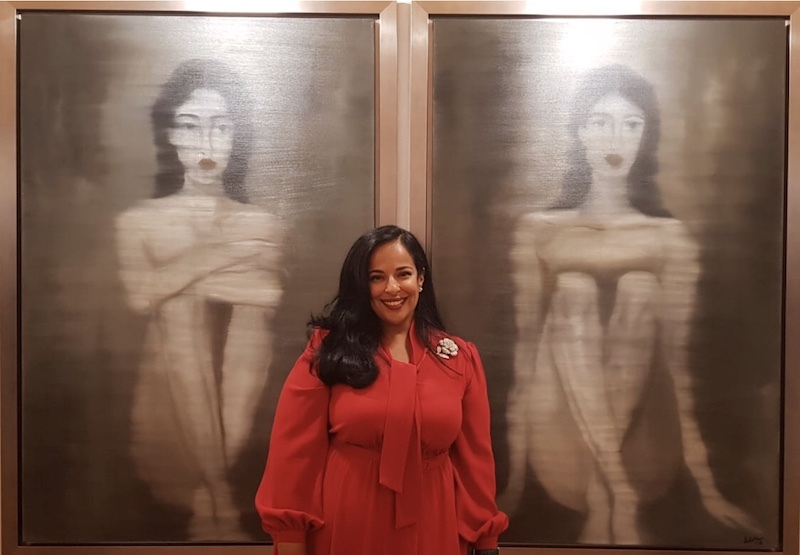 Alongside setting up Bahrain’s first art lounge in 2008 with her company Art Select she has organised a number of art shows across the country leading up to the launch of ArtBAB.